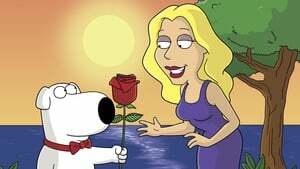 “The Bachelorette” comes to Quahog and Brian is chosen to be a contestant. Brian does not like the show, but participates just to have a vacation only to wind up falling in love with the bachelorette. Meanwhile, Chris gets a nasty pimple on his cheek, which talks to Chris and likes to cause mischief.